What 140-year-old knows how to party like the Queen Victoria Market? The grande dame of Melbourne's markets is turning a whopping 140 years old and still going strong. 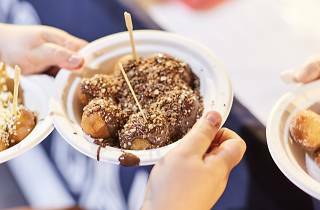 To celebrate its milestone birthday, the market is holding a street party, complete with a silent disco, live music and of course, plenty of mouth-watering food stalls. There's lots for the little ones, too, with children's entertainment group the Mik Maks performing on the main stage. There will also be stilt walkers, mimes, face painters, balloon artists and a magician roving throughout the market. Both daytime Queen Victoria traders and Night Market traders will be selling their wares. 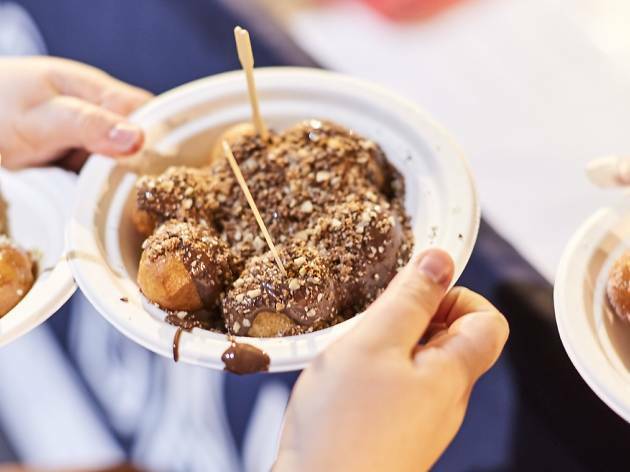 You can try Sri Lankan and Malaysian curries from Drums Café, hot Greek doughnuts topped with Nutella or salted caramel from Taki's Balls, or gozleme from Gozleme Turkish Café. Help celebrate one of our most beloved markets and raise a glass to 140 more years.